[…] The 23rd African Diaspora Film Festival is to be held in Manhattan, New York City from November 27 to December 13 at MIST Harlem, Bow Tie Chelsea Cinemas and Teachers College, Columbia University with the presentation of more than 50 films, including 26 US and NY Premieres. For more information about the 23rd Annual African Diaspora International Film Festival, to receive the complete line up, screeners and high resolution images please contact Diarah N’Daw-Spech at (212) 864-1760 or e-mail pr@nyadiff.org. Human Rights documentary The Man Who Mends Women – The Wrath of Hippocrates will have its U.S. Premiere on November 27 at 7pm at the Opening Night of the 23rd Annual African Diaspora International Film Festival. Presented by U.S. distributor ArtMattan Films, THE MAN WHO MENDS WOMEN is the portrait of the impressive life and work of internationally-renowned gynecologist Dr. Denis Mukwege from the Democratic Republic of Congo. He received the 2014 prestigious Sacharov Prize for Freedom of Thought, for his struggle against sexual violence. 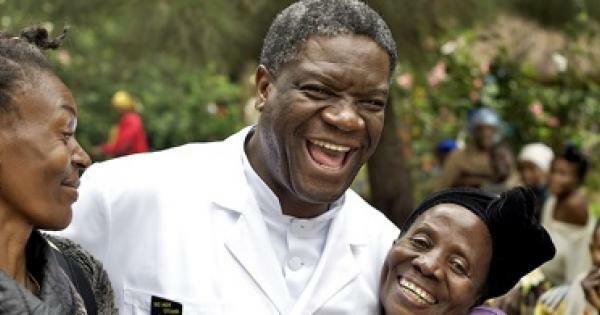 Dr. Mukwege medically assisted over 40,000 sexually abused women in 16 years of professional practice. Sexual violence against women has been used as a weapon of war for years in the violence-ridden and poverty-stricken Democratic Republic of Congo. In order to provide medical, psychological and emotional aid to the victims, Dr. Mukwege founded the Panzi hospital in Bukavu in 1999.